The waterfall is protected by the Nantahala National Forest. Although some claim that Whitewater Falls is simply the tallest East of the Mississippi, that title may belong to Crabtree Falls in Virginia, depending on how one defines "waterfall". 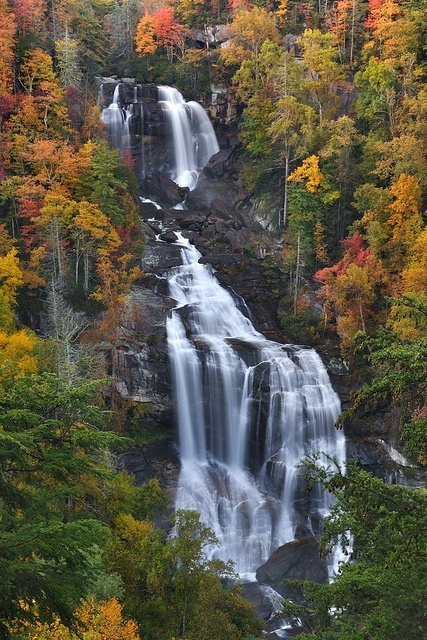 In fact, there is debate as to whether Whitewater falls is the tallest waterfall in North Carolina, as there are some in the state which may lay claim to being even taller, such as Glassmine Falls on the Blue Ridge Parkway.